Just two more weeks until that magical time of year – Black Friday and Cyber Monday! If you aren’t familiar with Black Friday or Cyber Monday, they’re supposedly two of the biggest shopping days of the year on Amazon. Black Friday is the day after the US holiday, Thanksgiving, and Cyber Monday is the following Monday. This year, Black Friday and Cyber Monday fall on November 23rd and November 26th, respectively. Thanks to major retailers getting in on the fun, competition for sales is a lot higher during Black Friday and Cyber Monday. However, most of them are still passing up a killer sales opportunity, by spending most of their budget elsewhere. 25 percent of ad budgets are spent over the Black Friday weekend. The ads start running around Halloween, with a significant portion of the budget being spent on Black Friday. Cyber Monday tends to get a smaller share of the budget, averaging 20 percent. Little money left to target last-minute shoppers. 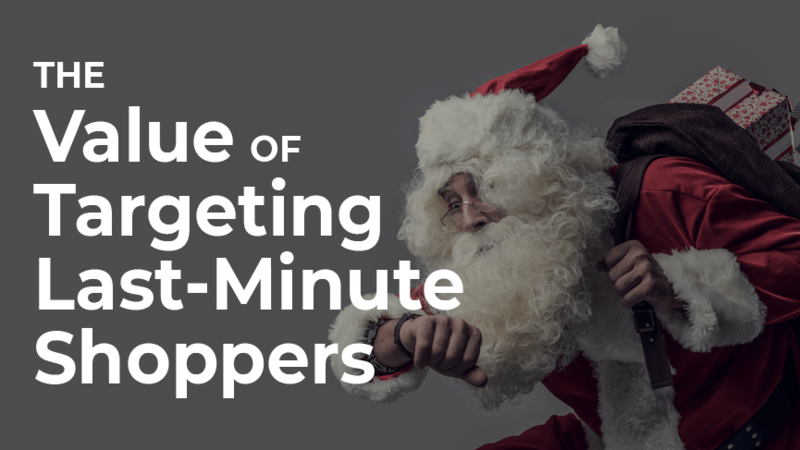 Only 5 percent of the surveyed retailers said they reserve some of their advertising for last minute shoppers. Amazon is gaining, but it still lacks. Interestingly, major retailers spend just 15 percent of their advertising budget on products they’ve listed on Amazon. Meanwhile, Google gets 21 percent of most budgets, while Facebook grabs 18. In other words, major retailers shouldn’t spend too much of their advertising budget on Amazon, out of fear that Amazon will, in turn, convert major retail customers into Amazon customers. Not only does Amazon profit on the retailers’ ad spend when they advertise on Amazon, but Amazon also ends up with full control of the retailers’ customers. In addition, retailers directly compete with Amazon’s own private label products now, as we recently demonstrated in a research article on Amazon’s private label brands. But does that matter for smaller 3P (third party; Seller Central) Amazon FBA sellers? Are Black Friday & Cyber Monday Sales that Important for Smaller Amazon FBA Sellers? Sales increased immediately, on Black Friday. The chart shows a near 450% jump in sales from the 24th (Thanksgiving Day) to the 25th (Black Friday). Cyber Monday outperformed Black Friday by a large margin, with sales 274% better than those made on Black Friday. Sales stayed strong after Black Friday and Cyber Monday. Less than two weeks after Black Friday and Cyber Monday, sales were 10% higher than they were on Black Friday. Sales continued to grow as we neared Christmas, December 25th. The largest spike on the chart is on Monday, December 12th, nearly two weeks before the Christmas holiday. Its sales were 16% higher than Cyber Monday’s. December Sales continued to outperform Black Friday’s, all the way up to four days before Christmas (December 21st). Black Friday and Cyber Monday made up only 9% of the 2017 holiday selling season. As we can see from the graph above, while Black Friday and Cyber Monday certainly help kick off the holiday selling season, they are only a small part of that busy period. The majority of the sales from that time-frame (more than 90%) occurred between November 29th and December 21st. But why are unit/session percentages important? Well, seller unit/session percentages (the conversion rate metric Amazon uses) represent the number of units your product sold during a specific period of time, divided by the number of views your product listings had throughout that period. So you want lots of people viewing your listing! As your views increase. so do your chances of converting a “looker” into a “buyer”, therefore the higher the unit session percentage, the better. Because if it takes fewer views to make a product sale, then consumers are buying products without doing as much research as they have in the past. They’re making more “emotional” purchases. And judging by the data on the chart below, shoppers are 2-3 times more likely to make a purchase during the holiday season than they are before the holiday season. Before Black Friday/Cyber Monday 2016, unit/sessions percentages were as low as 7.14% (November 9th). Unit/session percentages increased to 18.14% on Black Friday and 22.97% on Cyber Monday. After Black Friday/Cyber Monday, unit/sessions percentages continued to increase, peaking at 25.96% on December 18th (exactly one week before the Christmas holiday). Unit/session percentages were still at 19.51% on December 22nd, before we started to see them return to normal. Spend some of your FBA seller advertising dollars during Black Friday/Cyber Monday. Don’t forget, the seller in the above graph was selling new products. Therefore, there was not a lot of “runway” to advertise the product before the start of the selling season. This stands in contrast to the larger retailers’ advertising strategy, which involves spending most of their holiday ad spend in the days leading up to Black Friday/Cyber Monday. For Amazon FBA sellers, this means that advertising dollars spent during this time are more effective. Even if there is a marginal increase in Amazon PPC costs, it’s offset by higher conversion rates. Holiday sales stop 3-4 days before the Christmas holiday. Keep in mind, this upward trend isn’t never-ending. The increase in sales during November and December tends to stop and trend downward three to four days before December 25th. The downturn in sales, at that particular time, is probably due to Amazon’s Prime shipping guarantee. It promises to deliver most products within 2-3 business days. Order something special on December 22nd, and it might not reach its destination by December 25th. Most shoppers aren’t willing to take that risk! We’ve learned from Marketing Land that most major retailers spend the bulk of their ad budgets on the days leading up to Black Friday and Cyber Monday, with only 5% of budgets targeting last minute shoppers. Yet, as we can see from our sample Amazon seller selling new private label products, 90% of holiday sales happen after Black Friday and Cyber Monday. Therefore, Amazon FBA shoppers should not only focus on Black Friday and Cyber Monday (which are still important), but on the entire holiday shopping season. Start testing out new ad campaigns now. Create new automatic and manual campaigns using relevant keywords. Find new keywords using Keyword Scout. Keyword Scout can help you find thousands of relevant keywords for your Amazon PPC campaigns at a click of a button. Learn more about Keyword Scout. Turn on Bid+ during the holidays. Bid+ is a feature in Amazon PPC manual campaigns that bids 150% of your normal bid if it would put your product onto the first page of search results. While 150% may seem like a lot to spend per click, remember that unit/session percentages are 200-300% higher during this time, so you actually end up saving money. Optimize your listings for the holidays. Make sure that your titles, images, and descriptions are perfect. In addition, try to get any reviews that you can by following up with any customers that you have now. Stay in stock. There’s nothing worse than running out of product before the holidays. It’s probably too late to make an inventory order now (you should probably start thinking about placing orders for Q1, though). But if you’ve been keeping inventory in a separate location to avoid Amazon’s higher Q4-FBA fees, make sure you’re tracking inventory units. All it takes is one great day of sales to have your entire inventory wiped out.